This is something we don’t really see any more. 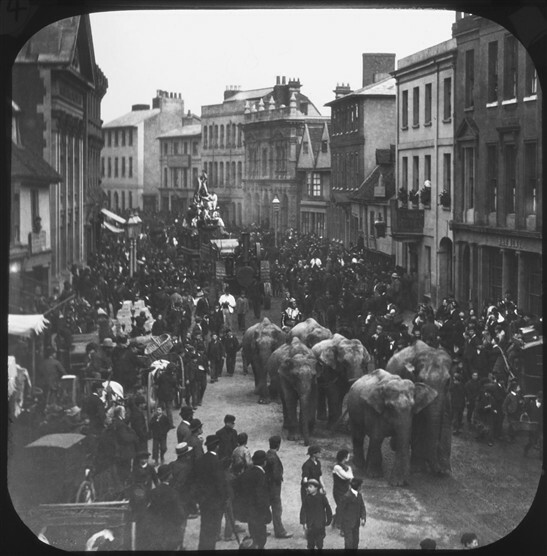 It must have been very exciting when the circus was in town and probably a great chance to bunk off school! This was probably taken around the 1880s. Behind the elephants is a huge steam traction engine.